For athletes, this is often the most dreaded four-letter word in the dictionary: REST. As endorphin junkies and sweat addicts, prophylactic days of rest can be harder than our hardest races and training sessions. And, in a culture that encourages “death before DNF” as well as “BEASTMODE” in every workout, taking an off-day has come to be seen as a sign of weakness. That’s means we often skip rest days, or turn them into “active recovery” days, which really end up as another training session. I will freely admit that throughout my athletic career, I’ve been cardinal offender #1. Because of that, I’ve had to learn the hard way — in the form of having to take a year-long stint, sidelined from the sport I love, due to overuse injuries. After many months of forced rest days, I’ve slowly learned to reformulate my relationship with rest. Resting isn’t weakness. Resting isn’t getting soft. Resting is training. Resting is when our bodies repair and when we reap the benefits of our hard efforts. It’s when our muscles grow and our bones strengthen. (1) Take one full rest day per week. I’m not talking an “active recovery” day (i.e., “I’ll just swim for an hour instead of my usual run”). I’m talking a “foam-rolling-session-should-be-the-highest-your-heart-rate-gets-all-day” type of rest day. Active recovery and easy days are cool too, but those shouldn’t substitute for a full rest day. If the rest day drives you nutty (as it does for me), take a nice stroll around the neighborhood. Or, try my secret weapon: Find a swing set and swing for a few minutes — instant endorphin kick! (2) Expect that the workout after your rest day is going to feel awful. For many years, I said, “I don’t do rest days,” because my workout the day afterward always felt worse. What I didn’t understand is that this is a NORMAL feeling – this is why a good coach will always schedule an “easy” day after a rest day, rather than a hard workout. Realize that “feeling awful” is actually normal, yet it doesn’t mean that rest days make you feel worse. (3) Continue to fuel yourself normally on rest days. For a long time, I thought I should cut down on my food intake on rest days because I wasn’t working out or sweating. False! Your body is repairing itself, so make sure to top off your tank, and especially focus on getting high quality protein sources. 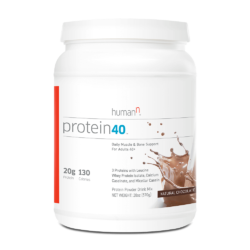 I use Protein40 to make sure I hit an adequate protein intake to help repair muscles and bones, because it’s made of 3 premium proteins in one easy-to-make and delicious shake. (4) “Stress is stress”: Non-physical stress needs to be factored into your training schedule. We often only quantify our need for rest based on our physical activity, also known as our physical stress. What we fail to realize is that emotional and mental stress – from work, from home life, from travel – also necessitates increased rest. If you’re like me and juggling a professional career along with training (for some of you, even adding family and kids into the mix! ), you may need to reduce your training schedule accordingly. Cheers to happy and healthy training! I can’t wait to see how rest boosts your results! 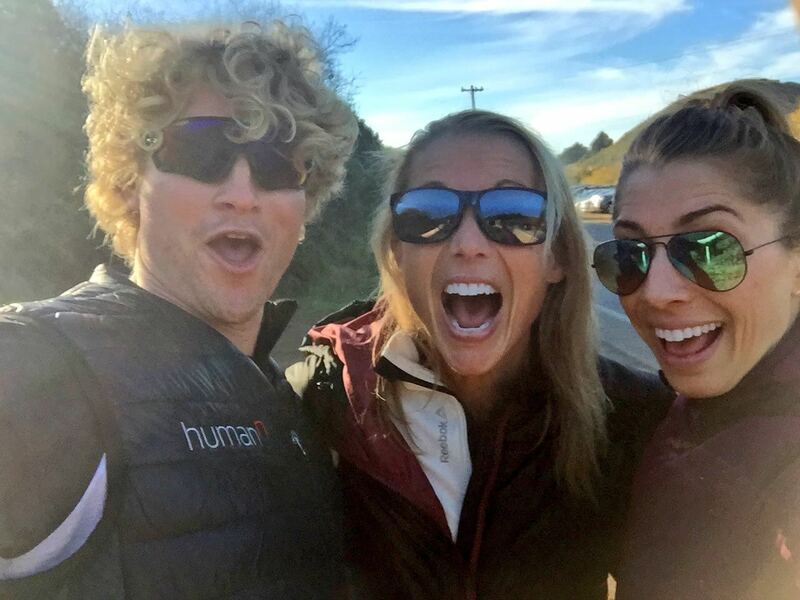 She’s been a part of the HumanN team since 2015 and a staple on the Obstacle Course Racing scene since its inception in 2011. 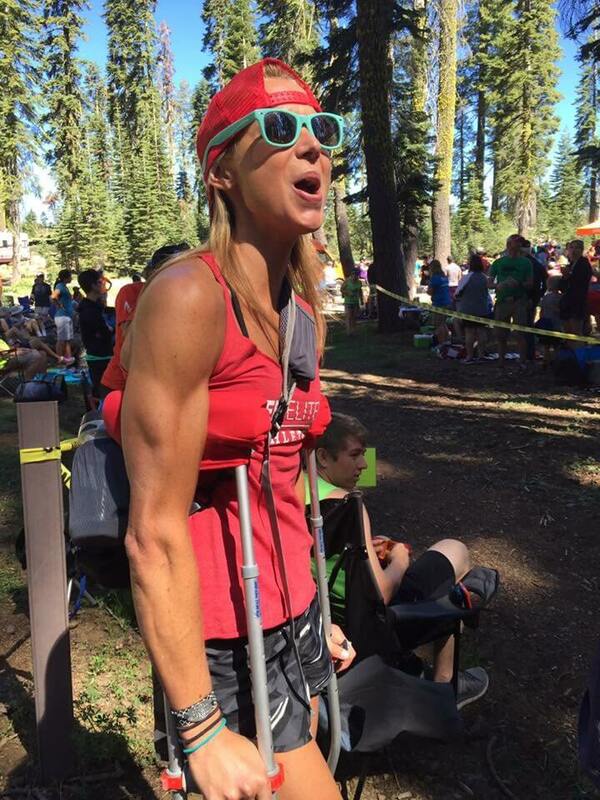 And today, she’s arguably the most decorated OCR athlete around. Amelia Boone is a three-time World’s Toughest Mudder Champion, a Spartan Race World Champion and has visited the Spartan podium an incredible 28 times. Did we mention she’s also a full-time corporate attorney in Silicon Valley? You could say downtime is not in Amelia’s vocabulary. But discipline and determination certainly are.